Has your computer stopped booting to windows? 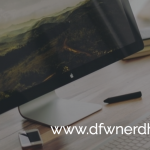 Are you experiencing disk errors or are you persistently experiencing the blue screen of death? Have you accidentally deleted personal files such as photos, documents or other valuable data? If the answer is yes to any of these questions, you may be in need of data recovery. It is pertinent that you take certain steps to ensure your data remains intact. Our first recommendation is to cease using the computer with the affected drive. 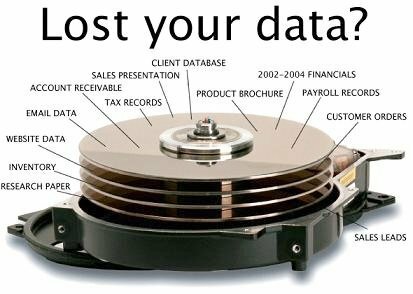 If you continue to use the machine, you risk further damaging the drive and ultimately destroying your valuable data. Typically, there is only a small window in which data can be successfully recovered. The next step is to NOT attempt to recover the data yourself, unless you are certain that there is no physical damage. All hard drives are fragile; especially, laptop drives. If any attempt is made to access a damaged drive via USB, you are putting your data at risk for deletion. Often a damaged hard drive will fail even quicker if you attempt to access data from it. Professionals use professional programs in which we have the highest probability of data recovery. If you happen to damage the drive, you automatically lessen our ability to recover your data successfully. Our final recommendation is to be alert for the warning signs associated with a failing hard drive. If your laptop or desktop seems to be running abnormally hot, accessing files very slowly or making a clicking sound, these are signs of a failing hard drive. 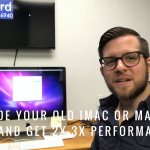 Also, if you notice your system freezing up repeatedly or you experience frequent crashes, it is best that you stop using your system and contact a data recovery specialist immediately. 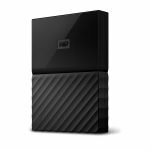 If you do not already own a backup drive, we recommend The Western Digital My Passport 2TB External USB 3.0 Hard Drive or the Seagate Backup Plus 1 TB USB 3.0 External Hard Drive for keeping your data backed up and safe. 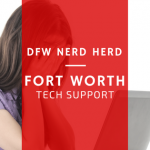 DFW Nerd Herd offers comprehensive hard drive data recovery services in Fort Worth, Texas and the surrounding area.